« Food Handlers Certificate ClassCOMPLETE! 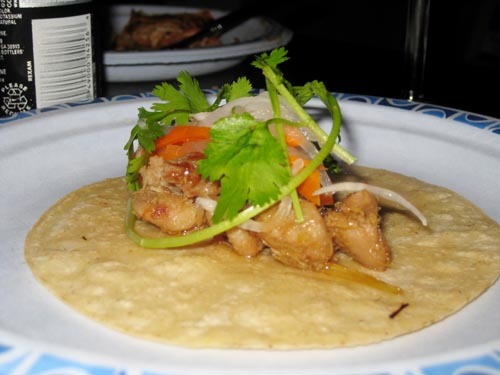 Had a little potluck dinner at my apartment last night, and since I hadn’t made the lemongrass chicken tacos for the majority of the people coming over that night, I figured I may as well do another test run to see what people thought. The result? They liked it! w00t! 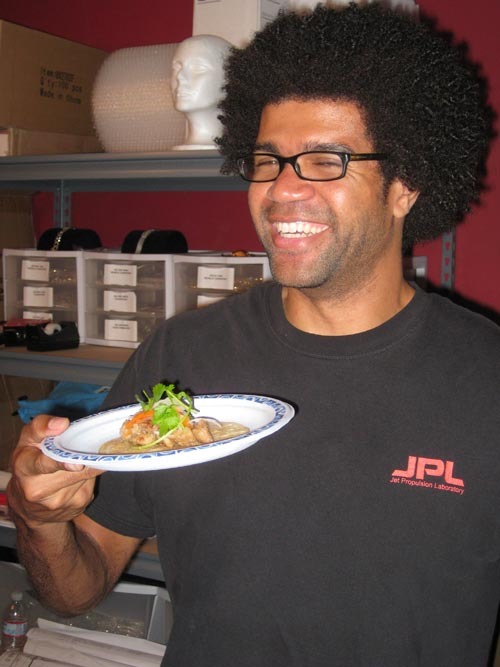 Here’s a pic of our friend Afro-Mark with a taco. 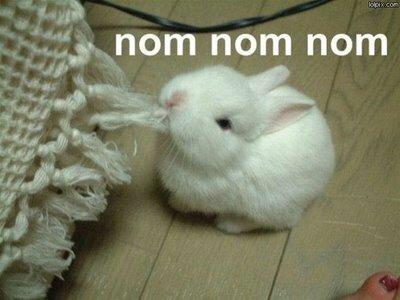 Hes been eating these things for weeks now, and it looks like he still loves em! Thats a good sign! 4 comments to Nom Nom Tacos Trial! nomnomtruck.com da best. Keep it going!